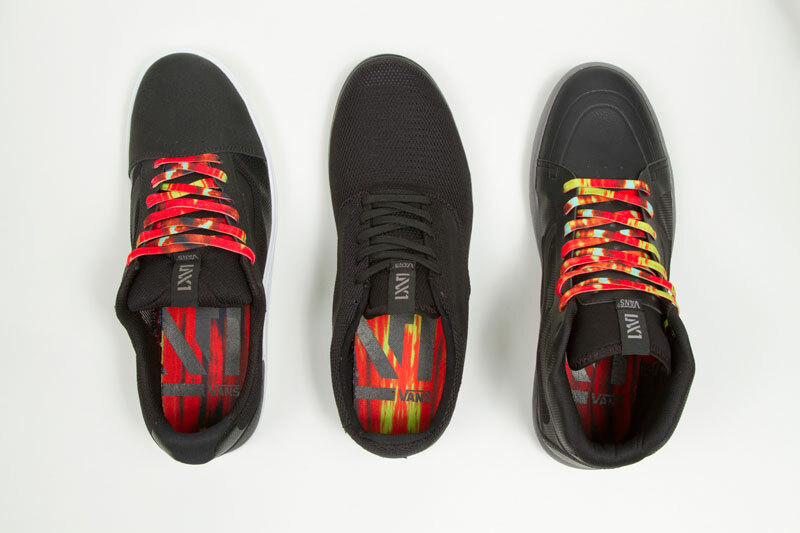 This fall, Vans LXVI is proud to introduce the RED DAWN Tie Dye Collection, a forward-thinking, three-piece capsule of original LXVI styles including the Parameter, the Locus and the Iso. The Red Dawn collection reflects LXVI’s latest progression in providing the best in comfort, flexibility and reduced weight. The Red Dawn Tie Dye collection features a brightly colored tie-dye pattern inspired by the California sunrise. 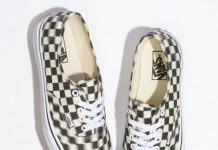 This unique design is sublimated onto the laces of the Parameter and Locus, and across the footbeds of all three styles. 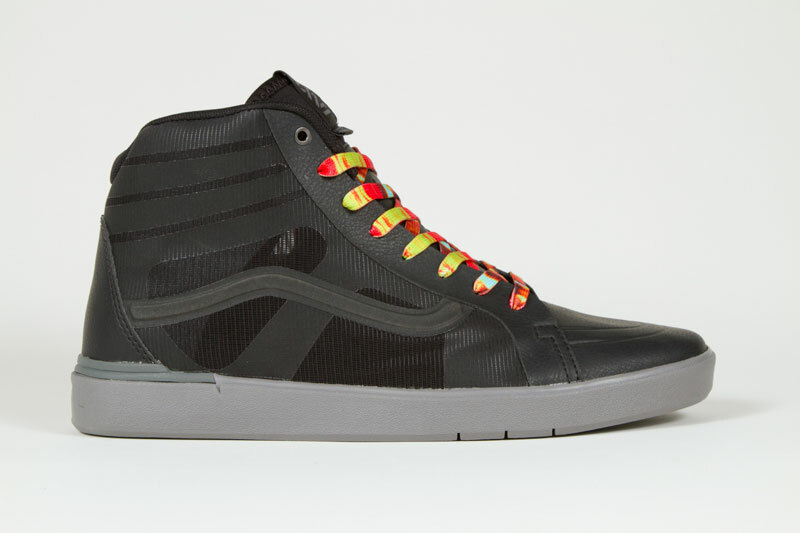 The colorful sunrise motif adds a bold, pop of color contrast throughout the stealth black uppers to create an attractive overall aesthetic. 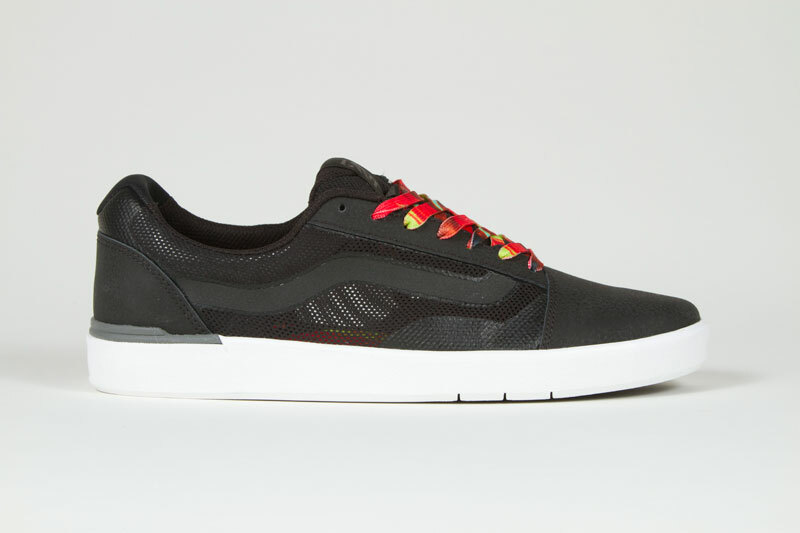 The Iso features a lightweight and breathable “air-mesh” material throughout the upper with a black to the floor color scheme paired with the Red Dawn tie-dye pattern sublimated on the footbed. 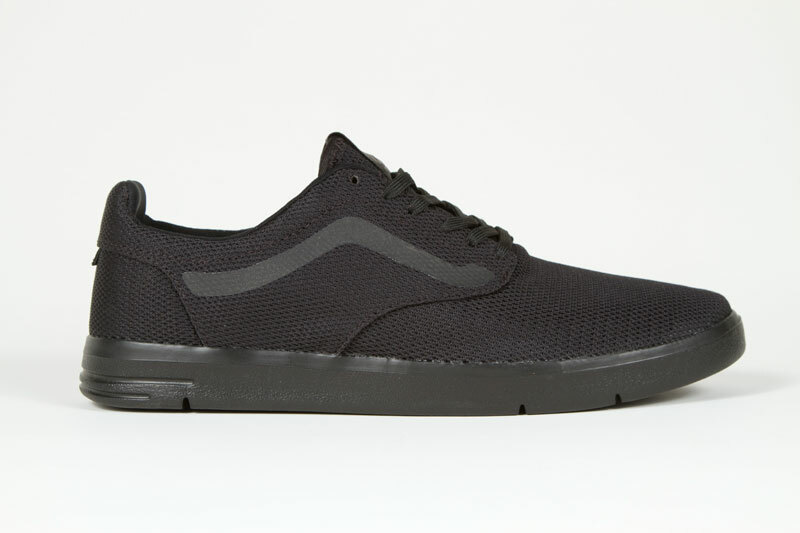 The Locus, inspired by our classic Old Skool design, features a breathable mesh quarter panel with waxy buck overlays all in black with black logos and a white outsole. The harmonizing “Red Dawn” tie dye pattern is sublimated onto the laces and footbed. 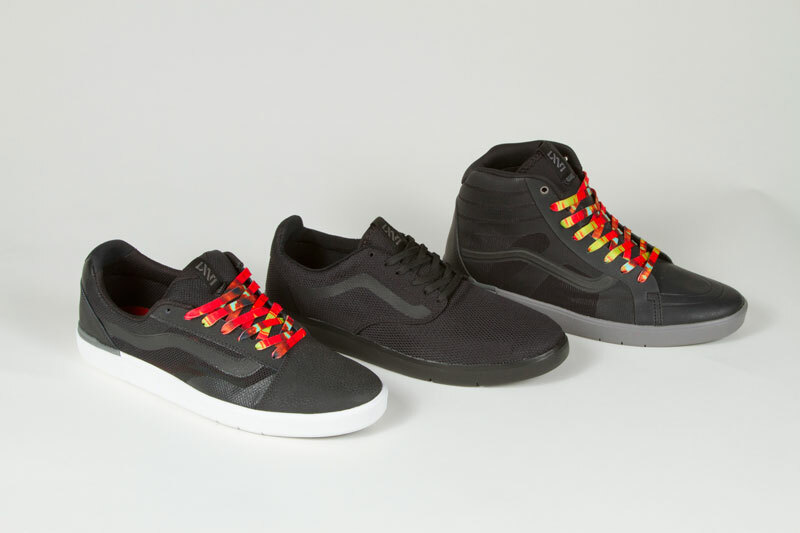 The Parameter, inspired by our classic Sk8-Hi silhouette, features a breathable mesh quarter panel with pebbled leather overlays and is complete with all black uppers and logos, and a grey outsole. The “Red Dawn” tie dye pattern is sublimated to the lace and footbed. 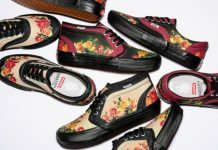 The RED DAWN Tie Dye Collection, which includes a Parameter, Locus and Iso, is available now at select Vans LXVI retailers and online at vans.com/lxvi.